Our WHAM (We Have A Mission) team have been busy helping to create a 3D angel for the Guildford Cathedral Angel event this Christmas. Our angel will be one of over 180 produced by diocesan schools around Surrey. They will be on display in the cathedral from the 1st December until the 8th January. 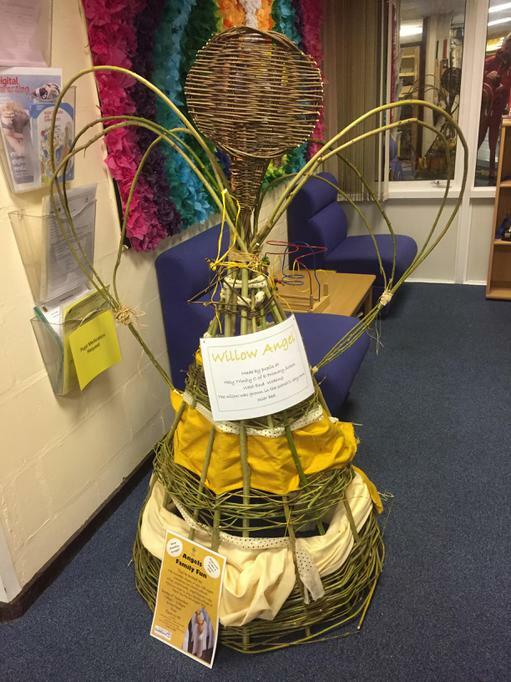 Our angel was made from willow grown in our osier bed at school and decorated with remnants of material and old packaging. Look out for it amongst the heavenly host!